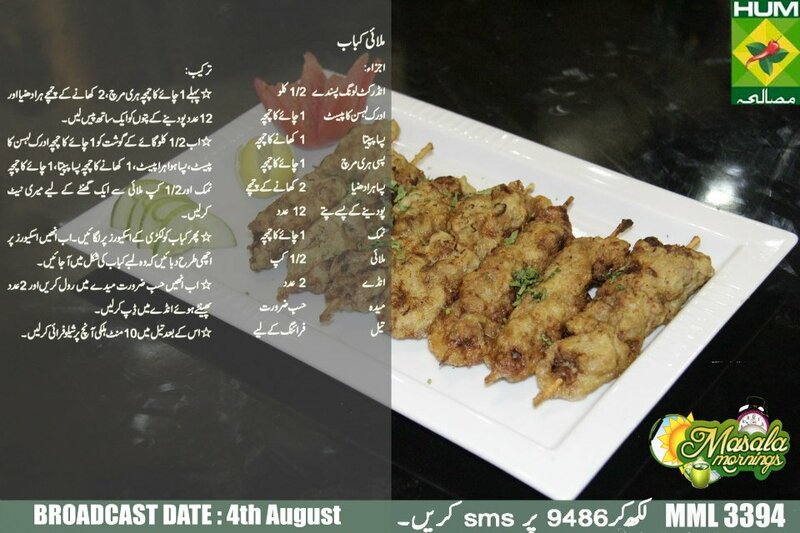 Tasty Malai Kabab Recipe in Urdu and English by Chef Shireen Anwar at Masala TV Cooking Program Masala Morning. Grind together green chilies, coriander and mint, marinate beef with ginger garlic, grinned green paste, rip papaya, salt and malai for 1 hour, put the kababs on wooden skewers, press firmly around the skewers to give shape of long kabab. Roll in wheat flour, dip in stiffly beaten eggs, and shallow fry in oil for 10 minutes on low flame.